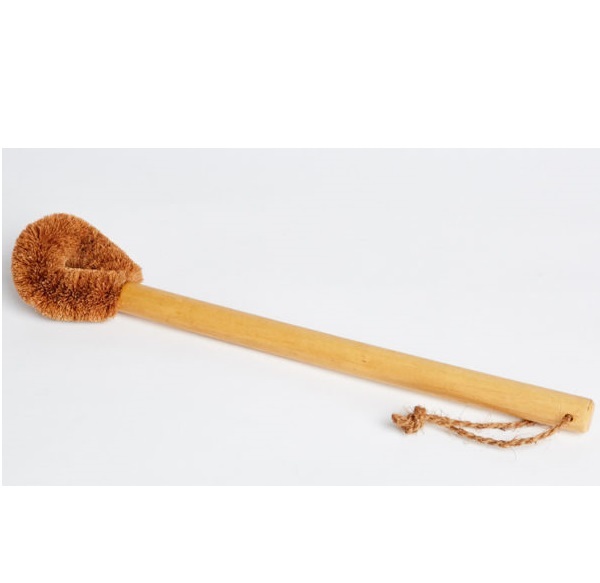 A naturally anti-bacterial, biodegradable, micro plastic free, coconut fibre brush shaped to easily clean all areas of the toilet. Coconut fibre is anti-bacterial so it will not become smelly or mouldy, making it an ideal natural fibre for the Eco Max Toilet Brush. The fibres will not discolour or flatten like a nylon brush and the curved shape allows the brush to easily clean under the lip and S bend. Best of all, because it is made from natural materials it wont add micro plastic fibres to our waterways and food chain.